RALEIGH, North Carolina -- North Carolina State coach Kevin Keatts is encouraged simply by the fact his new Wolfpack team has won its first two games with a new pressing style of play. "I told the guys in the locker room we're always happy with a win," Keatts said, "but now we've got to go back and figure out the things we didn't do well and then obviously get better at certain situations." Torin Dorn added 14 points for the Wolfpack (2-0), who ran off the last 17 points of the first half to take a big lead, then led by double figures from there. But N.C. State played basically even with Charleston Southern (0-2) after halftime and allowed the Buccaneers to shoot 50 percent after the break. "We definitely didn't come out with the energy that we should have," Dorn said. "But glad to have a win, glad to be able to learn from this with the win instead of learning from this with a loss. In fact, so much of the Wolfpack's success Sunday was due to one terrific flurry. Sam Hunt got things started by knocking down three 3-pointers in four possessions in the 17-0 run -- all in the last 2 1/2 minutes -- aided by a few turnovers from the Buccaneers. By the end of the half, Charleston Southern had just seven baskets and 14 turnovers that led to 18 points for the Wolfpack. "Our mental lapses were too long," Buccaneers coach Barclay Radebaugh said. "So you can't do that because the pressure is there and they're just waiting for you to make a mistake -- and Kevin's been real successful with that." Freshman Phlandrous Fleming Jr. scored 17 points for Charleston Southern. Charleston Southern: Things went better than Friday's opener, at least. Charleston Southern fell behind 24-0 in that one and saw Davidson hit a program and Atlantic 10 record 26 3-pointers in the 110-62 loss. Things didn't get nearly so ugly Sunday, with the Buccaneers fighting to hang within 15 or so for much of the second half. "After what we saw Friday night and the way we played Friday night," Radebaugh said, "we made big, big, big stride forward." N.C. State: N.C. State is short-handed to start the year with just nine scholarship players available due to injuries (Abdul-Malik Abu) and an NCAA eligibility dispute (Braxton Beverly), so Keatts has said the Wolfpack will only be able to show about 75 percent of what he envisions with a full roster of players recruited to his style of play. Still, the Wolfpack's pressure defense forced turnovers, while graduate transfers Freeman and Hunt provided a jolt with their scoring and outside shooting. Charleston Southern hasn't had sophomore Christian Keeling (17.3 points last year as a Big South all-freshman pick) and senior guard Cortez Mitchell (11.1 points) for either of the first two games. Team spokesman Kevin O'Rourke said in an email that both are out due to a violation of team policy for an academic issue. It's unclear how long they will be sidelined. Keatts said Abu is scheduled to be examined again by doctors to start the week as he recovers from a sprained knee ligament, but his status for next week's games remains unclear. Charleston Southern: The Buccaneers host Columbia International on Wednesday. 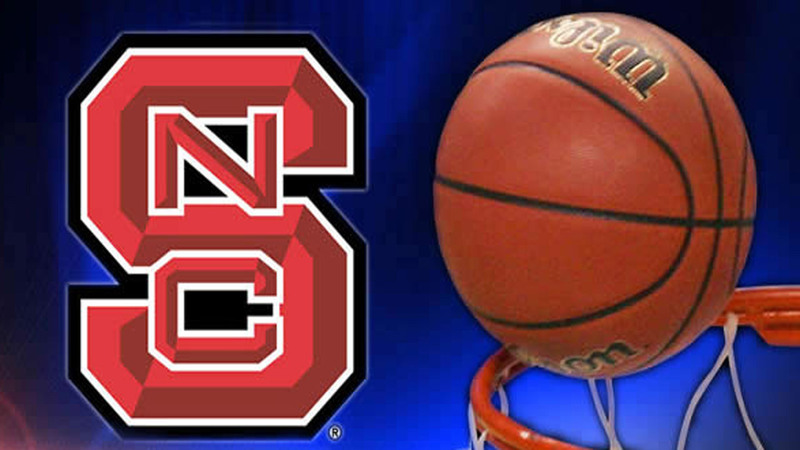 N.C. State: N.C. State hosts Bryant on Tuesday.